Manchester United play Liverpool this weekend in what is always one of the most eagerly anticipated fixtures of the season. Following Manchester United’s lacklustre and “lucky” victory over Southampton last night, Gary Neville suggested the fixture could be “like the Dog and Duck versus the Red Lion” such is the pub-like quality of the two sides at the moment. Louis van Gaal rather touchily referred to Neville as an “ex-legend” in response. Apparently the Dutchman is already so powerful at Old Trafford that he gets to withdraw legendary status from critical former players. I haven’t seen much of Neville as a pundit but I hear good things about him in that role and I think we can all appreciate the point he was making with some humour. It was Van Gaal himself that described his side’s win as “lucky” and his players will likely be able to enjoy a light refreshment or two in celebration of climbing to third in the league. I predicted a while ago that Manchester United would comfortably finish in the top four and that’s looking like an increasingly safe bet. So far however, it owes as much to deficiencies elsewhere (Liverpool, Arsenal, Spurs) as it does to their own rather laboured efforts. With no European games to distract him, Van Gaal has all week to prepare his team for Liverpool. Brendan Rodgers however, faces a huge game tonight with Liverpool needing to beat Basel at Anfield to qualify for the knock-out stages of the Champions League. Their recent form remains far from convincing but Rodgers has suggested that his players can write themselves into “club folklore” with a win. I’m not so sure that a home win over Basel to qualify for the last 16 would really be a folklore worthy achievement given Liverpool’s history in Europe. How many Liverpool fans will refer to ‘Basel 2014’ in future even if we win? I expect it to be close and I’m not hugely optimistic about Liverpool’s chances, I think it might well end up 1-1. Another man whose legendary status is being called into increasing question is Arsene Wenger. Arsenal’s loss at Stoke was exactly the sort of result and performance that has frustrated Arsenal fans so often in the last few years. The chorus of complaint seems to be growing in volume, frequency, and number of voices. He may save his job with a top four finish, a run to at least the quarter finals of the Champions League, and bringing Henry back in a coaching role but even with all of that I still wouldn’t be surprised to see him get the chop (or should that be Klopp) at the end of the season. As some of the big boys struggle, the likes of Southampton and West Ham are scaling up their ambitions. Koeman is doing a great job at Southampton and although I think the top four will prove a stretch too far they could easily hang on for a very creditable fifth or sixth place finish. West Ham meanwhile are heading north and looking down from Andy Carroll-like heights. Sam Allardyce is a great example of how fickle managerial popularity can be. Not so long ago he seemed about as popular as a Scottish Cup replay in Inverness but now he’s being lauded (rightly) for West Ham’s performances as well as their results. Again, I expect gravity to have its say before the end of the season but I don’t think they will fall too far. Football is a game full of exaggerations. It is triumph or disaster; fans are either singing the manager’s name or singing for his sacking. Neville of course was exaggerating a little too. But in a week when the Discovery Channel aired Eaten Alive, a show in which a rather foolish individual tried to get himself eaten by a snake but thought better of it with just the tip of his head inside the anaconda’s mouth, Neville is far from alone in the use of exaggeration. There’s not likely to be too many major discoveries on Sunday. Manchester United and Liverpool are both in rebuilding phases and neither has sufficiently solid foundations as yet. 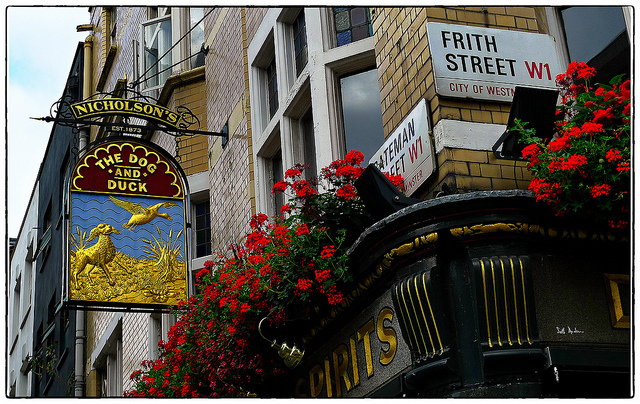 Still, it’s a big game and one that remains worth a little trip to The Dog and Duck. This entry was tagged Dog and Duck, Eaten Alive, Gary Neville, Liverpool, Manchester United, Manchester United v Liverpool. Bookmark the permalink.